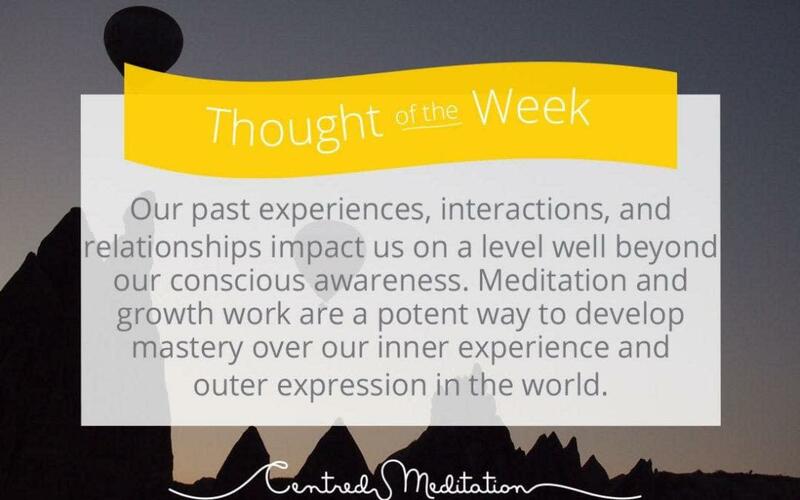 You might often hear us say “Meditation and growth work will empower you to access more of your full potential”. We realise that it can sound like a bit of a throw away comment, so we decided to take the opportunity this week to really unpack what we mean by this. When we start to engage in personal growth / adult development work, we come to understand that all of our past experiences, interactions, and relationships have had a HUMONGOUS impact on us. In ways that are well beyond our conscious awareness. We come to discover that the way we think, feel, act, and react, are all merely a product of these experiences that have been wired into us over time. In fact, we begin to be able to observe them in quite predictable patterns. Patterns that can be intervened with and altered at specific stages. And in turn, we end up having more control over our thoughts, feelings, and actions. It’s a very empowering experience! Meditation is a mechanical process that naturally unwinds the grip that these patterns have on us. Over time, it expands our level of self-awareness and our clarity and insight over situations. I (Nikki) distinctly remember some time after I started meditating, being in a heated discussion with my family and strangely enough being able to witness the emotions rising, the sensations intensifying, and the thoughts racing. It was like time had slowed down and I was suddenly privy to a gap between the scenario and my reaction to it. In fact, I could actually RESPOND how I chose to, instead of reacting how I had been wired to. Aside from meditation, group or one-on-one growth work is a potent way to speed up our rate of growth. Through techniques and processes, we start to gain awareness over how our brain has been wired over time, and what caused us to think, feel, and act the way we do. We begin to build new, more sustainable neural pathways of our own choosing and literally re-wire our brain. It was through this growth work that I discovered that the reason I never continued with my Psychology degree was that I was too afraid of failure (even though I had successfully convinced myself otherwise), and then was able to free myself up to go back and study my honours equivalent to fulfill on my dream of becoming a Psychologist (something I NEVER imagined I would end up doing). So taken together, meditation and growth work are a powerful concoction to peel back irrelevant layers of ourselves and start to access more of who we really are, beyond all that conditioned wiring – more of our ‘full potential’ so to speak. This is our Centred Edge six week peak performance program, in a nutshell. We think you should do it. Speak to us if you are interested to know more, or reserve your armchair now!